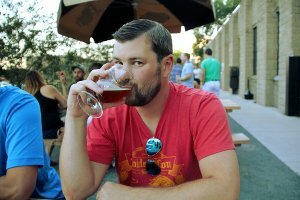 It’s easy to get lost in the shuffle of the Northeast craft beer scene. There is strong competition between Dangerous Man, Indeed, Bauhaus, Fair State, and many others. Because I’d known only one other person to visit Able my mind was clear and open when we stepped out of our vehicle. 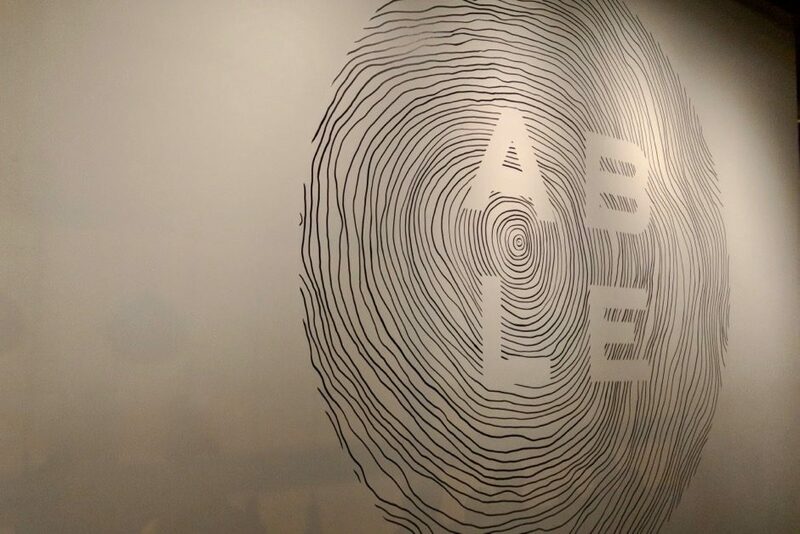 A pristine brick building stood before us, Able’s logo and name modestly painted on the brick in white lettering. I’d driven by the building many times before, but never noticed it. It was a frigid evening and, while I would’ve liked to stop and admire the building, we briskly crossed the road. 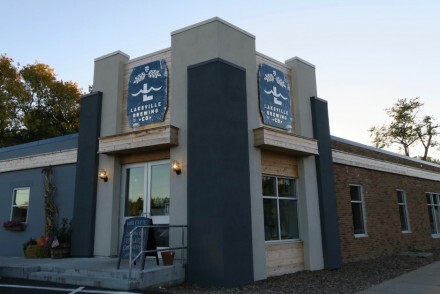 Upon entry, we were presented with a deliciously modern and minimalistic taproom. It’s amazing what can be done with just white and black. The space was busy, yet quiet, and after finding a spot to lay our coats we approached the bar. 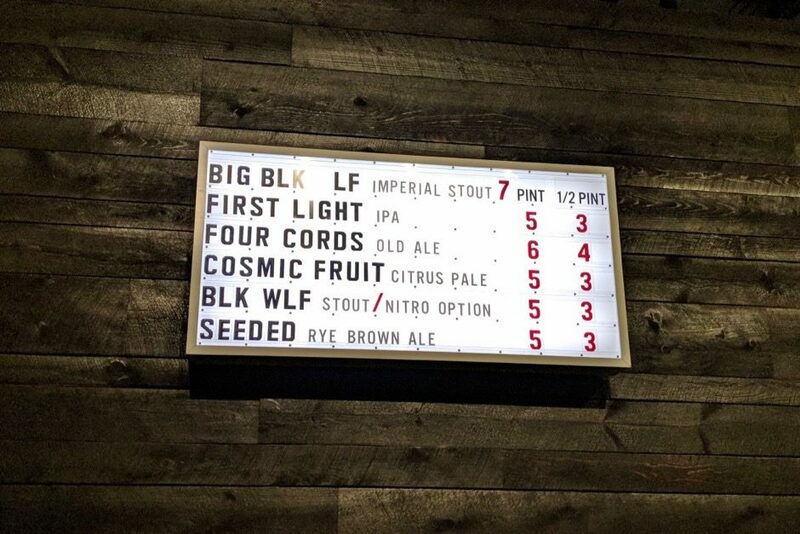 An imposing black stained wood wall featured a small marquee containing their tap list. The presentation was a real delight with big, bold, black, block lettering for the beers paired with red for the pricing. A little hit of movie theatre nostalgia. The building was once the administrative headquarters for Minneapolis schools, and this particular space was a garage for their maintenance vehicles. It’s also so surprising what kind of transformation can be made to an old space like this. Light wood tables and soft yellow lights accent the cold white and black colors of the chairs, walls, and cavernous ceiling. 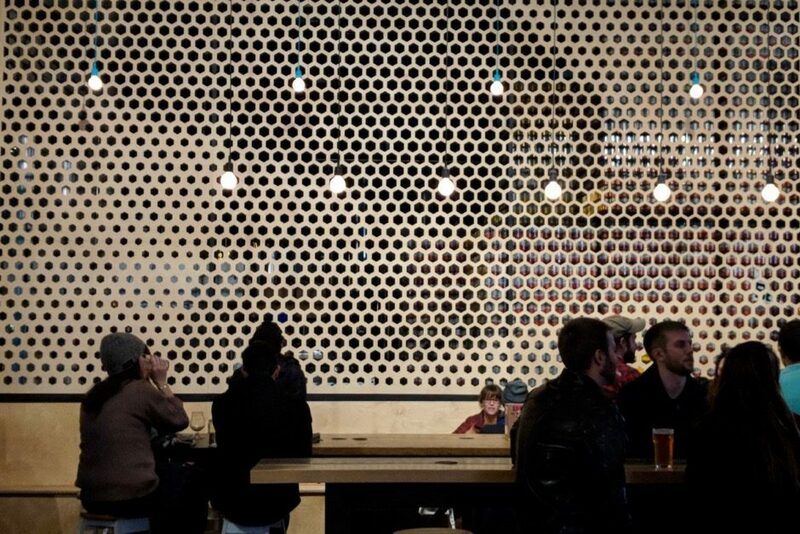 A wispy mural featuring Able’s stacked logo appears at the far wall, and an interesting honeycomb wall flanks the bar. 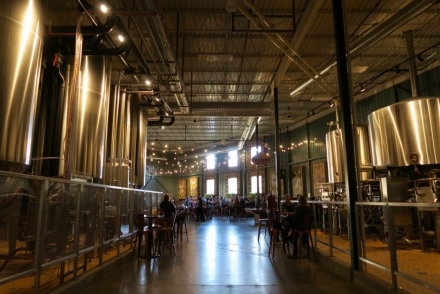 In the back corner you will notice their bright conical fermenters with only a short metal railing separating the two spaces. One thing you’re sure to get in Northeast is a younger crowd. This one was had that usual energy but more subdued than normal. For the most part I think their demographic skews a bit older than the others, and maybe they keep this place secret for a reason. You won’t have to fight for a spot to stand, but you’ll have to search for a seat. Dogs are welcome, and one person had even brought in a dog bed! I had four of their beers. 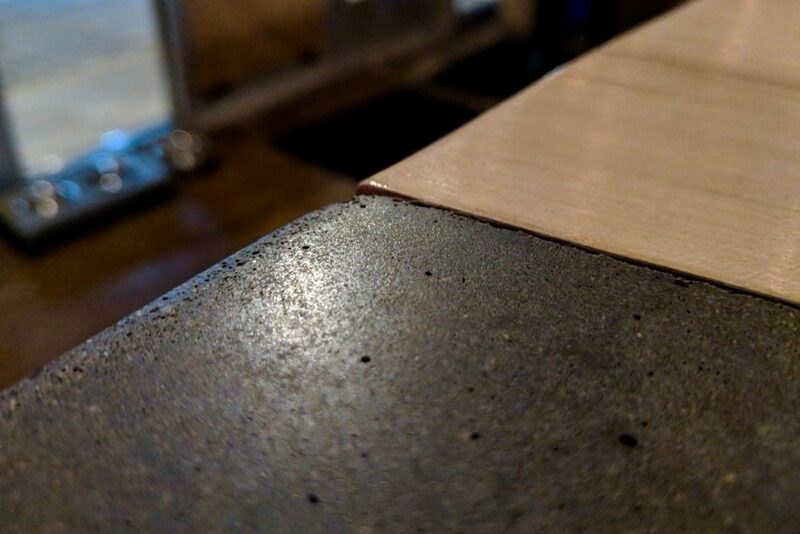 Blk Wlf, Propers Hall and Oatmeal, Seeded, and Cosmic Fruit. 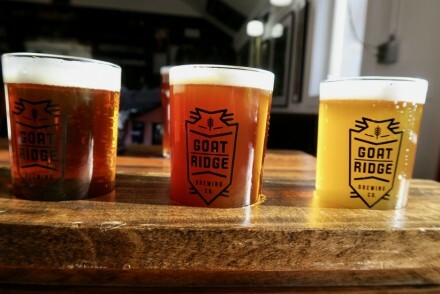 These are all a little more easy drinking and balanced styles than their Northeast brethren. The Blk Wlf Nitro Stout was smooth, as expected, with a bit of bitterness and a dry finish. Seeded was a Rye Brown Ale that was very balanced with a malty sweet aroma and flavor. But the standout was the Hall and Oatmeal. It’s a variety of their Propers English Ale and it had a sweet oatmeal aroma and a heavy oatmeal raisin and brown sugar flavor. Nothing too crazy in here but the appearance as well as the base malty caramel notes did remind me of sitting in an English pub and sipping on a smooth ale pulled from a cask. 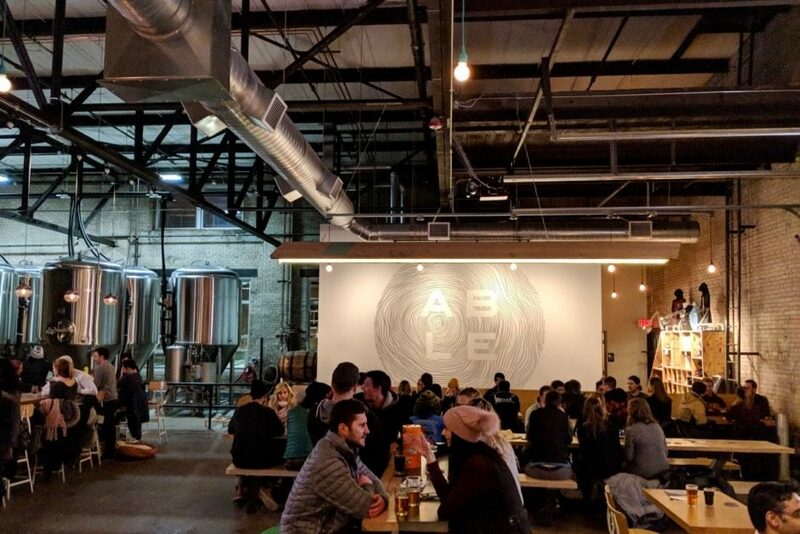 The feedback I usually hear about Able Seedhouse + Brewery is that their beer isn’t that special. If you’re looking for a hop drenched IPA or a funky sour then I’m inclined to agree. If you want a handful of beers that aren’t trying to stretch the boundaries of their style then Able is a great match. The taproom itself is fantastic, easily one of my favorites. Their branding is modern and minimalistic and their can design follows suit with a single splash of bold color. 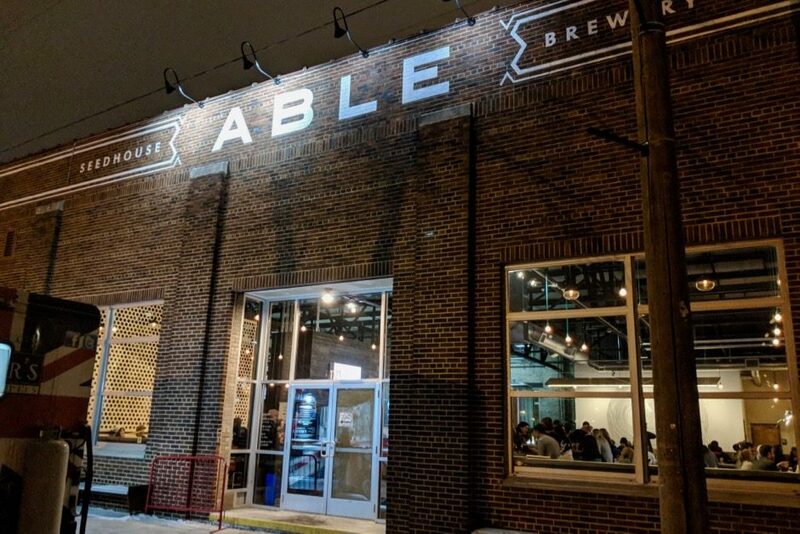 If you haven’t heard of Able then I suggest paying the a visit, and if you’ve heard mixed reviews then don’t hesitate to try for yourself. Make your own journey!